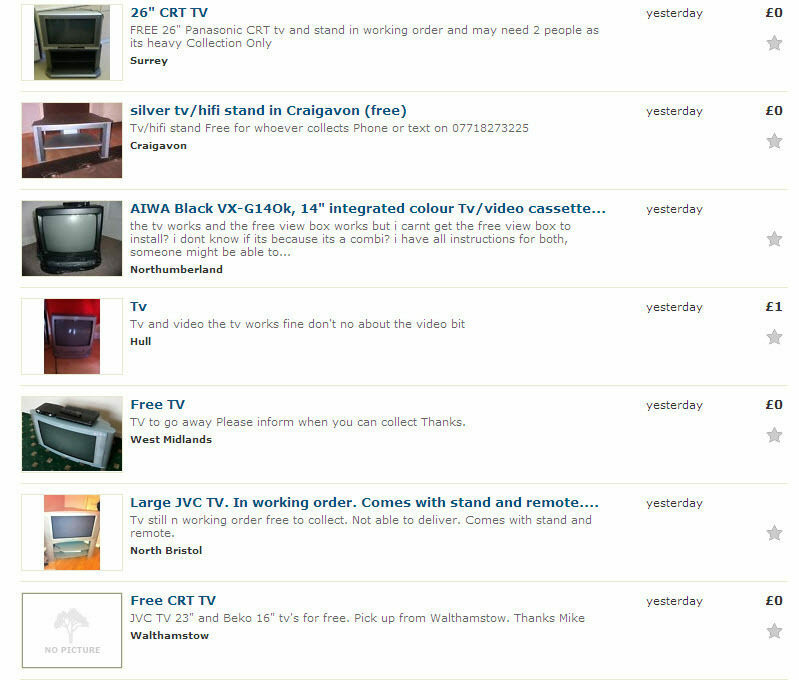 I was quite impressed and surprised when my wife managed to get a free TV, its stand and Philips set box in London. I had read her article which included some knowledge about getting free stuff in London and other cheap ways to live in London. But this time I actually experienced it. I mean I actually accompanied her and helped her get the TV home. It all started when my wife returned from her holiday to my brother in law's house and like always went on a home improvement spree almost as soon as she arrived, especially when she found that the old TV was defunct. She told me that she looked up in two sections of gumtree.com. The first being "Gumtree Freebies London" - www.gumtree.com/freebies/london and the second one was "gumtree house clearance London" - www.gumtree.com/house-clearance/london. I guess she found this deal on the former one. So, in London or rather in the UK, if people want to dispose large objects like furniture, big electrical / electroic stuff, especially when they are in a hurry to move somewhere else, they prefer to give it away free, provided the buyer collects the items from their house. They'd give it for free rather than going through the hassle of selling it. Transporting large things like furniture etc. can be expensive. So, I and my wife went somewhere in Hackney I think. It was just about a 20 minute drive from Ilford. As expected, the seller, who seemed a friendly American / Australian lady, said she was moving out in about 2 months time and was clearing the house. We picked up the nice looking Toshiba TV and the stand and the set box and got it to my brother in law's place. My wife seemed quite impatient and made all the necessary electric connections to the TV. But since there was no video signal going into the TV, there was no output from it. Though we had the Philips set box, we luckily also had a sky box which we used to use at our previous residence in Feltham. With a bit of tinkering around, we finally could see crystal clear, coloured video on the screen with good sound. I mean, all in all it was a very good deal.